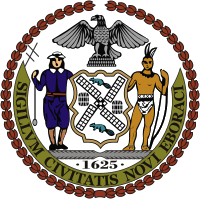 Below is video of last week's public hearing on the proposal to webcast NYC City Council and other municipal meetings. It was informative with first, representatives of the NYC Department of Information Technology and Telecommunications (DoITT) giving the official line, and then, two presentations by commercial vendors. After which Common Cause, the Peoples Production House, and others, spoke on behalf of the public interest. 00:05:12 Chris Rynders - Granicus Inc.